Tikkun holds to an idea called “The Twelve Pillars of the Kingdom”. We use this to express the various themes and concepts that run through and underpin all our teaching and ministry activities. As in a building, the pillars support the roof, so within Tikkun these twelve principles support the structure of the ministry. It is a desire of the leaders of the network that these Twelve Pillars would evolve into twelve convictions that each congregation would come to own as their personal expression of The Kingdom of God. Read the full “Twelve Pillars” document here. The Message of the Gospel is that the Kingdom of God is available to you to bring Kingdom order and relationship through power and demonstration of the death, burial, and resurrection of Yeshua (Jesus). The Kingdom is expressed in our worship and must be based on truth of the Word of God with sincerity and intention, keeping Yeshua as central throughout. As we are drawn to the Gospel and worship in Spirit and truth, community will become a natural out growth of the united relationships of those involved. The relationship of the power and the presence of the Spirit is most effective when motivated by love. The identification of Yeshua as our substitution in His crucifixion is transformational for believers, and thus we can be changed from victim to victor where the deeds of the flesh are put to death. We seek to order our congregations with Apostolic oversight as described in the New Testament. May we be one as Yeshua and the Father are one. This type of unity has the power to bind territorial darkness and will empower believers today to develop oneness amongst all believers. 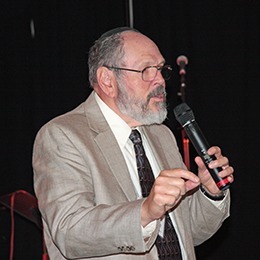 The Jewish people are exhorted to respond to the irrevocable calling of God to show forth the testimony of God’s faithfulness and power to Israel and the Jewish people. We are about discipling the remnant from all nations to be effective in the salvation of Israel and the world. We are committed to the restoration of all things spoken of in the Gospel for the fullness of things to come. All spheres of life require our involvement to see the manifestation of the Kingdom to the fullest extent possible. We pray effectively and fervently by His Spirit for His will to be accomplished on the earth as it is in Heaven.